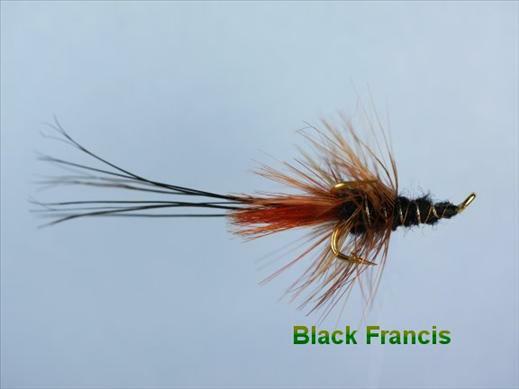 The Francis Black is one of the very effective Francis series of flies. It is an unusual and funny looking fly that is said to resemble a shrimp and is a 'must have' when fishing for Atlantic Salmon in Iceland and Scotland. It is also very popular in the Patagonia region of Argentina and Chile. Currently there are no comments about the Francis Black fly pattern from other fly fishermen yet.